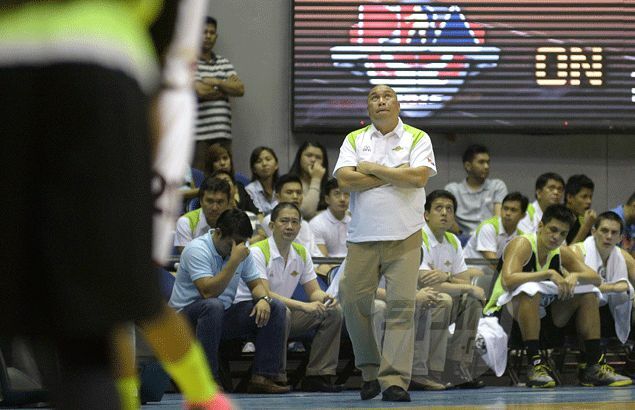 GLOBALPORT has given coach Pido Jarencio the pink slip. A source told Spin.ph on Thursday that team owner Mikee Romero has finally decided to push through with his plan to relieve Jarencio at a time when the Batang Pier continue to struggle in the PBA despite a souped-up lineup. At 4-5 (win-loss), the former champion coach of University of Santo Tomas has already doubled his win total in his first two conferences in the pro league, but GlobalPort has yet to secure a place in the Philippine Cup playoffs. The source told Spin.ph that assistant coach Eric Gonzales was given the coaching job on an interim basis, with Jarencio sliding down to a consultant role. GlobalPort team manager Bonnie Tan later confirmed the twin moves, saying Jarencio will remain very much a part of the Batang Pier organization after the reshuffle. Spin.ph had earlier reported that GlobalPort was close to sealing a deal with former Air21 Express coach Franz Pumaren but the plan was shelved at the last minute, just when Pumaren was about to sign the two-year contract. There were no reasons given for the botched talks, and GlobalPort sources are silent on whether Pumaren is still in the reckoning for the head-coaching job. Jarencio, who led UST to back-to-back finals appearances before taking on the GlobalPort job, is still under contract until the end of the season. Romero, who is also co-owner of Air Asia, has now put the team's fate in the hands of Gonzales, who is little known in league circiles. Gonzales was a former track and field star at UST before he began his coaching career as assistant to Binky Favis with the UAAP champion UST juniors team. He also served as assistant coach to Koy Banal at PSBA before he was hired to be part of the coaching staff of the Batangas Blades in the now defunct Metropolitan Basketball Association. He also served as assistant coach to Far Eastern University head coach Nash Racela.